On Thursday, Russia evacuated 248 individuals, 122 of whom were Russian, on two passenger jets from Sanaa to Moscow. MOSCOW (Sputnik) – Russia is prepared to organize additional flights to evacuate Russians and citizens of other countries from war-torn Yemen, the Russian Embassy in the Yemeni capital of Sanaa posted on its Facebook page Friday. “The embassy continues to work actively in this area. If necessary, we will organize additional flights,” the embassy said. People were ready to be evacuated Wednesday but had to wait for the Saudi-led coalition, currently conducting airstrikes against the Houthis, to give Russian planes permission to land. 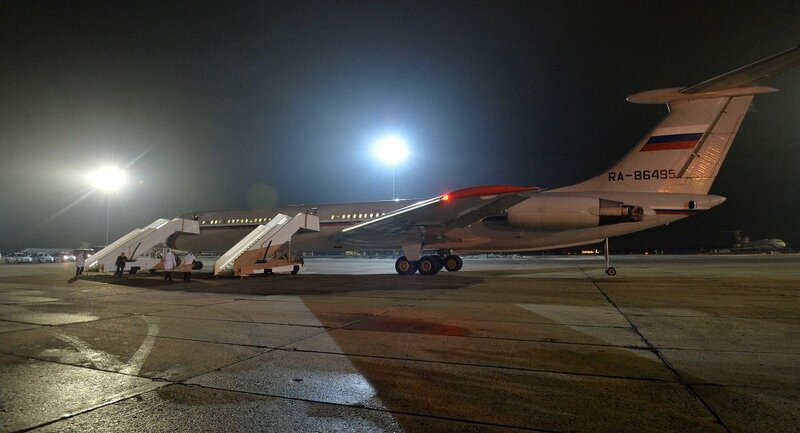 The aircraft spent the night at an airport in Cairo. Other countries, including Saudi Arabia, India, China and the United States have evacuated nationals from the Yemeni capital over security concerns. The United Nations has pulled out its staff from Yemen. Yemen is currently experiencing military violence as a result of missile attacks from the Saudi-led coalition and ongoing advances by the Houthi militant group against forces loyal to President Abd Rabbuh Mansur Hadi, who fled the country amid the hostilities. The Saudi Arabia-led coalition of countries has been conducting airstrikes targeting Houthi positions since March 25 after Yemeni President asked the Arab League for military assistance. Amnesty International said on Tuesday that the Saudi-led coalition is failing to prevent civilian casualties, and that coalition airstrikes have killed dozens of people, including children.